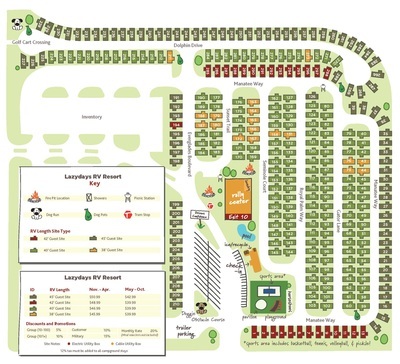 Lazydays RV Resort is known as the RVers Disneyland. It is a huge campground, sales, and rally park. 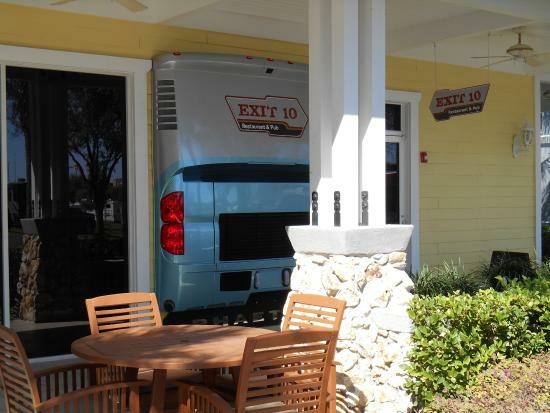 The Front Porch Restaurant and Exit 10 Restaurant & Pub are onsite. Breakfast and Lunch are complimentary at the Front Porch Restaurant. Pets are welcome anywhere in the park except the restaurants. We camped here in February 2015 specifically to look at their huge inventory for our new motorhome. 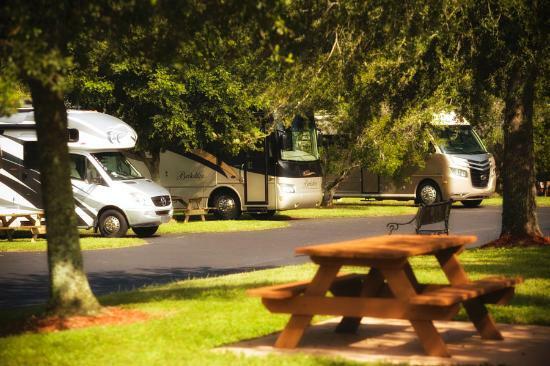 Many RVers stay here to visit Tampa which is just 12 miles away, view the huge inventory or to get their rig serviced. The sites are nicely paved with a picnic table but very close. There are numerous free seminars and fun activities to attend. We attended the Driver Confidence Class offered free if buying an RV. We bought our Allegro Open Road here and was able to stay in the delivery section to move everything from our 5th wheel over to the new motorhome. This area allows you to stay a day or so to be sure everything in your new home works properly before you take off down the road. Drive north on N Marion St toward E Polk St.
Lazydays RV resort will be on the left.